If your order weighs less than 13 ounces, save huge on shipping with USPS first class (with tracking number). This product weighs 15.4 oz. 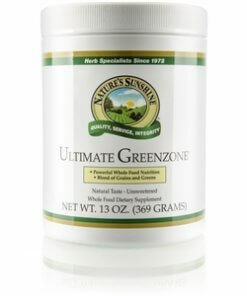 Nature’s Sunshine Ultimate GreenZone® supports healthy friendly bacteria levels and encourages proper digestive function. 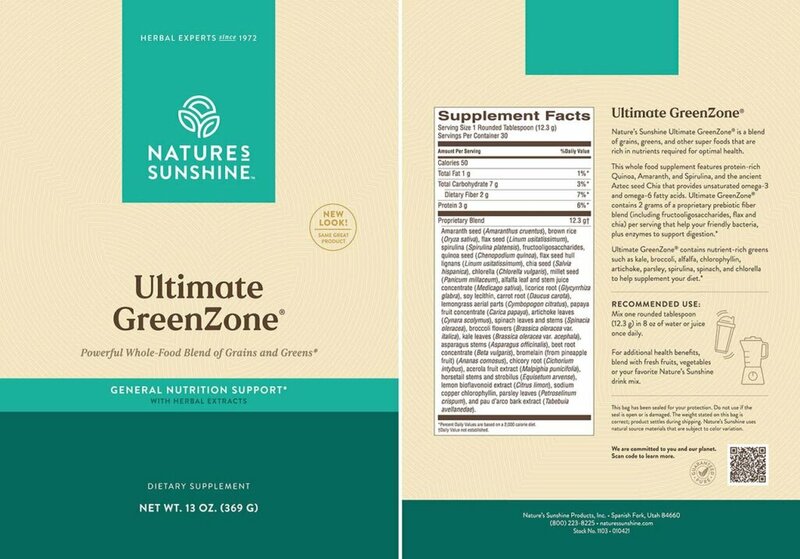 Full of protein-rich grains like quinoa, amaranth seeds, brown rice, millet, spirulina, and chia sead, Ultimate GreenZone is a rich source of unsaturated omega-3 and omega-6 fatty acids. The formula also provides greens full of nutrients, including broccoli, kale, chlorophyll, artichoke, alfalfa, asparagus, chorella-plus carrots, parsley, spinach, beets, acerola frut, lemon bioflavonoids, and flax hull lignans. This blend of greens and grains supplements and alkalizes diets that may be lacking in proper nutrients. 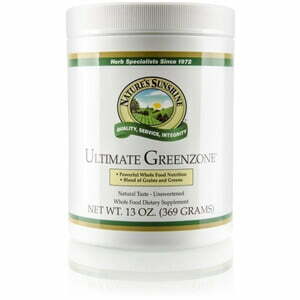 Ultimate GreenZone is a convenient complement to meals for busy on-the-go individuals. It helps boost energy levels and maintain healthy bodily functions. Each serving of this gluten-free formula nourishes friendly bacteria with 1 gram of proprietary prebiotic fiber.